DE Jovan Belcher is a finalist for the Buck Buchanan Award. The Buck Buchanan Award is presented annually to the nation's outstanding Division I FCS (formerly Division I-AA) college football defensive player. 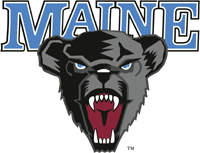 The University of Maine announced all tickets purchased in advance for UMaine vs University of New Hampshire, Saturday November 22 will be $5.00. The #17 Black Bears will be fighting for the CAA North Division Championship and a playoff birth against the #11 UNH Wildcats. Take the trip to Orono...it will be worth it. If you can't make it. The Central Maine Sports Blog will be blogging LIVE from Morse Field at Alfond Stadium beginning at 11AM Saturday. The Milwaukee Brewers are about to decide Orr's Island native Mark Rogers future. The Boston Bruins used Tim Thomas' acrobatics to defeat the Toronto Maple Leafs 3 - 2. The Bruins stand atop the Northeast Division with 26 points, and 3rd overall in the NHL. Kevin Garnett will miss tonights game against the New York Knicks due to suspension.